Madelyn Jones has been named career counselor for the College of Education and Health Professions at the University of Arkansas. She was an advisor in the university’s department of health, human performance, and recreation. 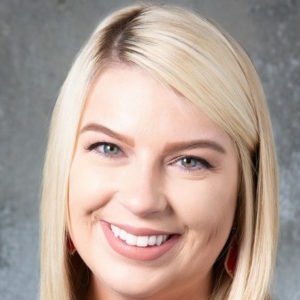 Jones holds a bachelor’s degree in psychology with a minor in social work and a master’s degree in student affairs and college counseling from Southern Arkansas University. 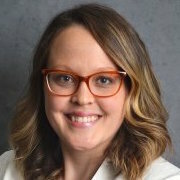 Heather Seagroatt has been named executive director of leadership gifts at Princeton University in New Jersey. She was vice president for presidential initiatives and principal gifts at Dartmouth College in Hanover, New Hampshire. Dr. Seagroatt holds a bachelor’s degree in history from the University of Pennsylvania and a master’s degree and doctorate both in English literature from the University of Virginia. 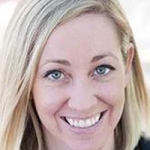 Lauren Milbourne has been named director of public affairs and communications at Allan Hancock College in Santa Maria, California. 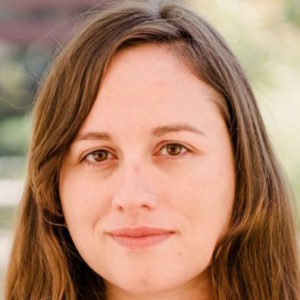 She currently serves as media relations/public information officer at Cuesta College in San Luis Obispo, California. Milbourne holds a bachelor’s degree in journalism from California Polytechnic State University in San Luis Obispo. Anna K. Jensen has been promoted to associate vice president and university controller at Indiana University, effective January 2019. She currently serves as chief accountant and managing director of Financial Management Services at the university. Jensen holds a bachelor’s degree in accounting from Indiana University and an M.B.A. from Ball State University. 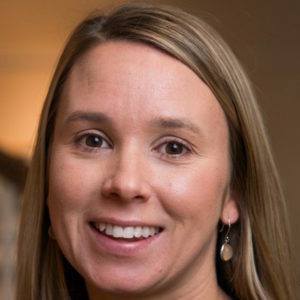 Natalie Pennywell has been named director of Virginia Commonwealth University’s Richmond East End Health Education and Wellness Center. She was the community outreach coordinator for the Division of Community Nutrition in the Virginia Department of Health. Pennywell holds a bachelor’s degree in biology with a minor in chemistry from Voorhees College in Denmark, South Carolina, and a master of public health degree in health promotion, education, and behavior from the University of South Carolina. 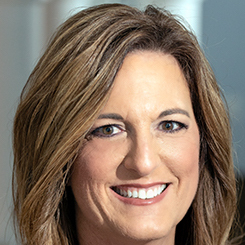 Allyson Easterwood has been named vice president for finance and administration at the University of Southern Mississippi, effective January 2019. She has served as interim vice president since April 2017 and has been an administrator at the university since 2000. Easterwood holds a bachelor’s degree in business administration with an accounting emphasis from the University of Southern Mississippi. Patricia Jackson has been named vice president for development at Brown University in Providence, Rhode Island. She was interim vice president for development and alumni affairs at the Geisel School of Medicine and Dartmouth-Hitchcock Health. Jackson holds a bachelor’s degree in psychology from Scripps College in Claremont, California, and an MBA from Claremont Graduate University. Holly Tilton Byrne has been named human resources generalist for the South Dakota State University Foundation. She was the community organizer for Dakota Rural Action. 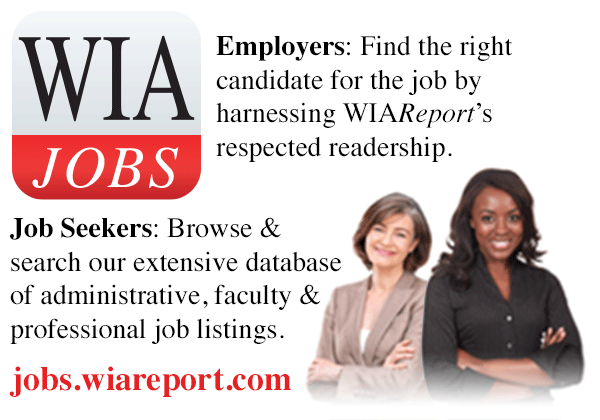 Tilton Byrne holds a bachelor’s degree in interdisciplinary studies from South Dakota State University. Beth Saunders has been named curator and head of special collections and the gallery at the Albin O. Kuhn Library & Gallery at the University of Maryland Baltimore County. She was assistant curator in the department of photographs at the Metropolitan Museum of Art. Dr. Saunders holds a bachelor’s degree in studio art with an emphasis on art history from the University of North Carolina at Chapel Hill and a master’s degree and Ph.D. both in art history from the Graduate Center of the City University of New York. Vicki Greene has been named director of the Women’s Business Center at West Virginia University. 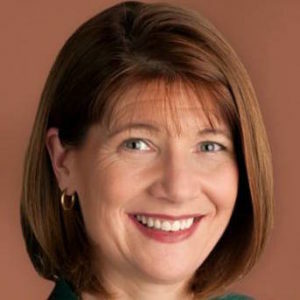 She has 25 years of public and private sector work experience in management, marketing, and public administration and has served as an adjunct professor at Fairmont University, Pierpont Community & Technical College, and West Virginia Wesleyan College. Greene holds a bachelor’s degree in business management from West Virginia Wesleyan College and a master of public administration from West Virginia University. 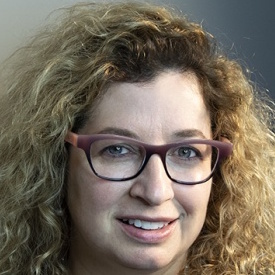 Sonia Feigenbaum has been named senior vice provost for global engagement and chief international officer at the University of Texas, effective February 2019. 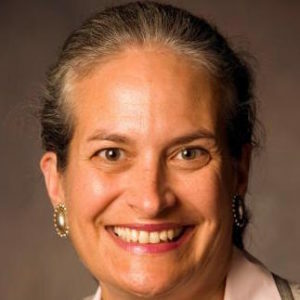 Currently, she serves as the associate vice chancellor for international engagement and global strategies at the University of Nebraska-Lincoln. Dr. Feigenbaum holds a bachelor’s degree in cello performance, a master’s degree in Spanish, and a Ph.D. in Hispanic literatures and cultures all from Indiana University. 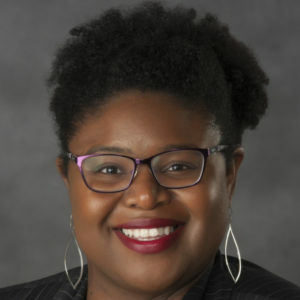 Cheryl Isaac has been named associate director of development at Pennsylvania State University Dickinson School of Law in Carlisle, Pennsylvania. 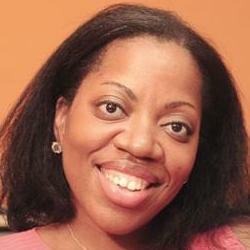 She most recently served as executive director of STAR Foundation in Brunswick, Georgia. Issac holds a bachelor’s degree from Capital University in Columbus, Ohio, and a master’s degree in creative nonfiction from the University of Tampa. Natalie Milburn Doan has been named vice president for university advancement at Ohio Wesleyan University. She had been serving as interim vice president since June and has been an administrator at the university since 2012. 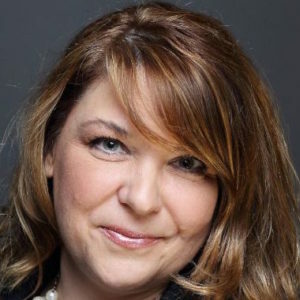 Doan holds a bachelor’s degree in politics and government and psychology from Ohio Wesleyan University and a juris doctorate from Capital University Law School.